Photos provided by Barb Heiss, Kevin Slick, Brian Keegan, Theron Statler, Ted Lewczyk, Mark Statler, Henry Penn, Jerry Armellino, Michael Joyner, Karl Spisak, Phil Smoot, Reel Majik, Steve and Maxine Wrzesien, Tom Jackson, Bruce Tinkel, Paul Speidel, and others - thank you! 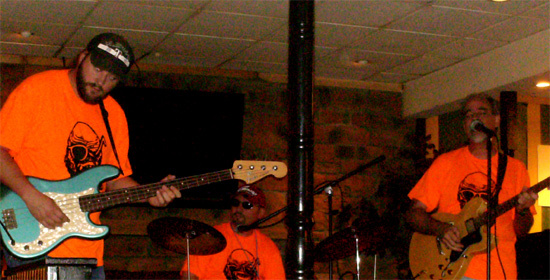 The Bash staff band - THE BASH BOYS! 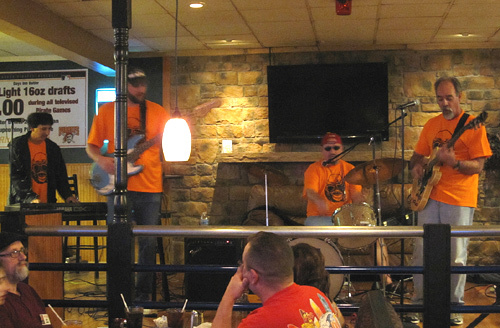 They played 1950s-1960s rock and roll to a packed Days Inn Restaurant between Movie Room events Friday night. Wowing everyone. 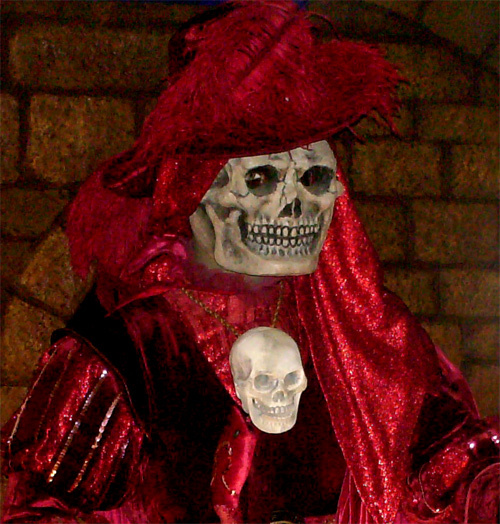 Ursula greets people at Monster Bash registration and goes through a transformation on Saturday evening at Bash - Whoah! Now there's a greeter. Make-up by the Reel Majik team. Profiles in Courage...or Creepiness! An attendee with Ursula Adams. 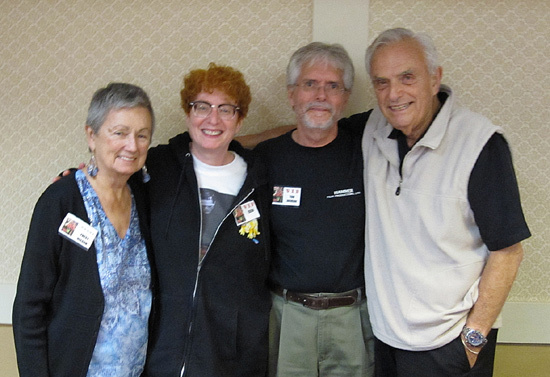 Patsy Nelson, Eileen Wolfberg, Tom Jackson and star of NIGHT OF THE BLOOD BEAST Ed Nelson! Monster Bash's Geoffrey Curtis running audio! 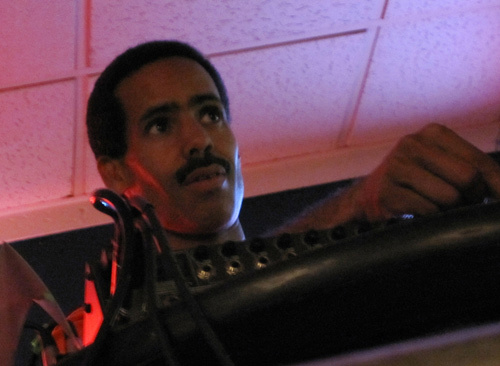 The man, the sound board, the 16mm madness! 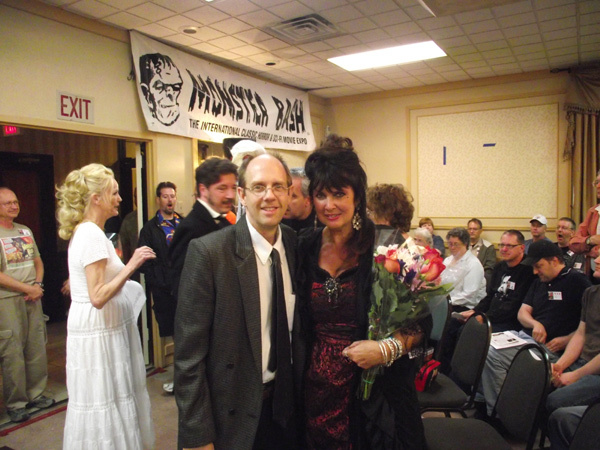 Monster Bash's Ron Adams with Hammer's Caroline Munro after the live theatre at Bash Saturday night. Monster Bash vendor Bruce Tinkel and Hammer Legend Veronica Carlson! 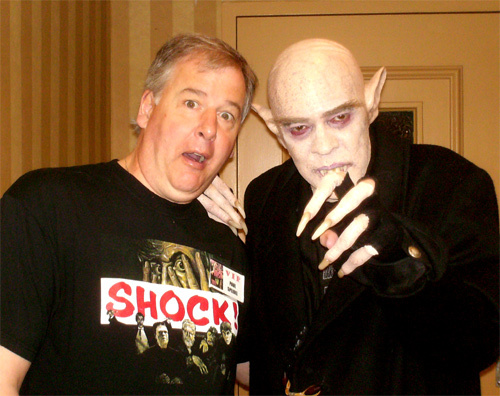 BRIDES OF DRACULA star Yvonne Monlaur with Bruce Tinkel at Monster Bash June 2011. 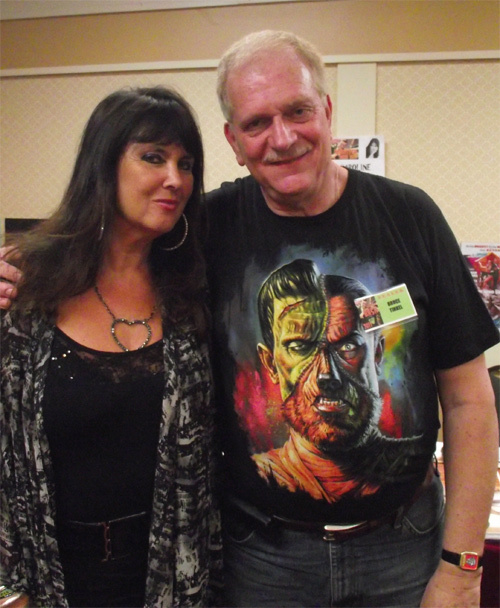 Caroline Munro in THE "VENDOR" WHO LOVED ME.....super fan Bruce Tinkel. Caroline was in the 007 movie THE SPY WHO LOVED ME, THE GOLDEN VOYAGE OF SINBAD, CAPTAIN KRONOS - VAMPIRE HUNTER, DRACULA A.D. 1972 and so much more! 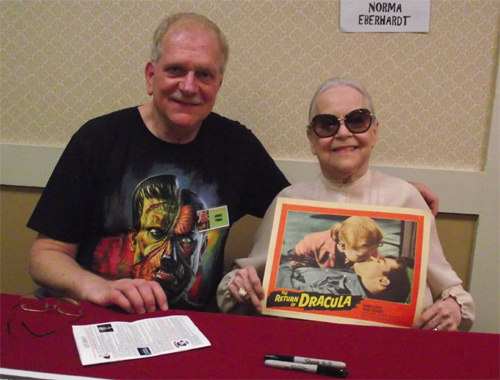 THE RETURN OF DRACULA's leading lady, Norma Eberhardt, with a stand-in for Francis Lederer - Monster Basher Bruce Tinkel. 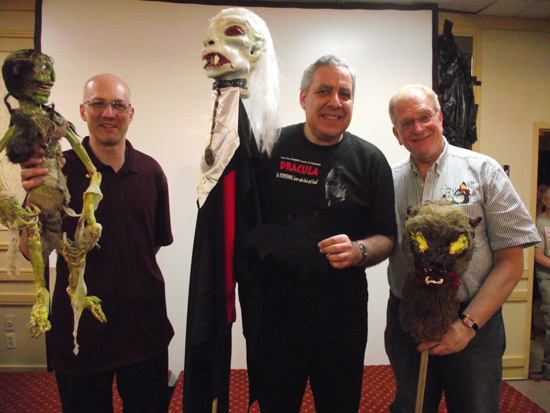 Gary Patti, author Michael Lederman, Bruce Tinkel....all part of the special live theatre presentation of DRACULA'S GUEST engineered by ctor Zach Zito! Zounds! 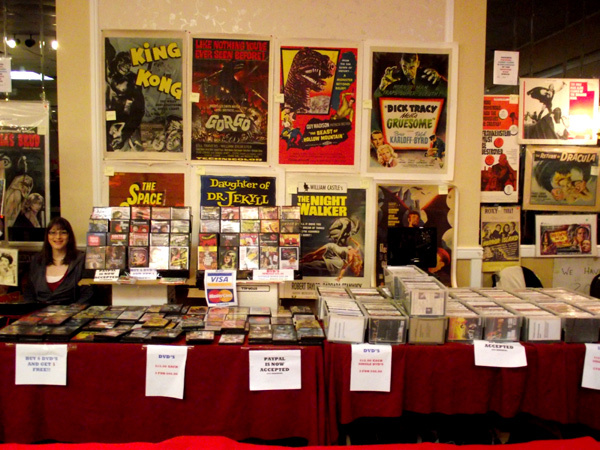 Look at those original posters and cool creepy stuff. 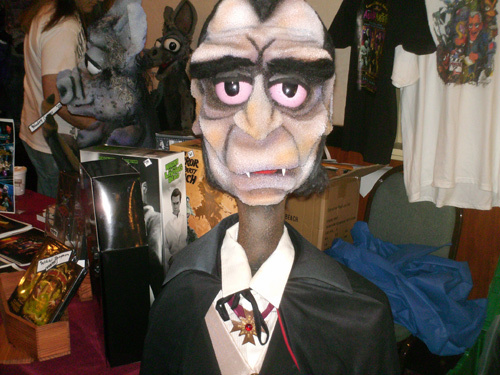 This is Bruce Tinkel's booth at Monster Bash. See Sharon Tinkel somewhere in there! You can visit his web site anytime - just CLICK HERE! All kinds f goodies to be found at Bash. 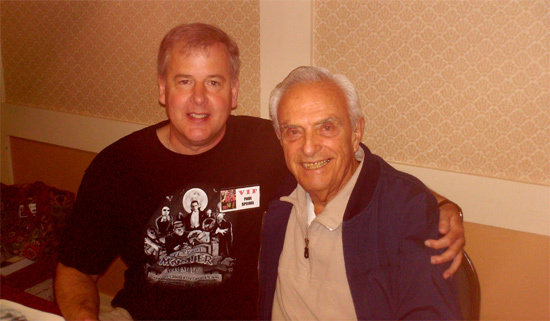 Monster Basher Paul Speidel with Hollywood icon Ed Nelson. 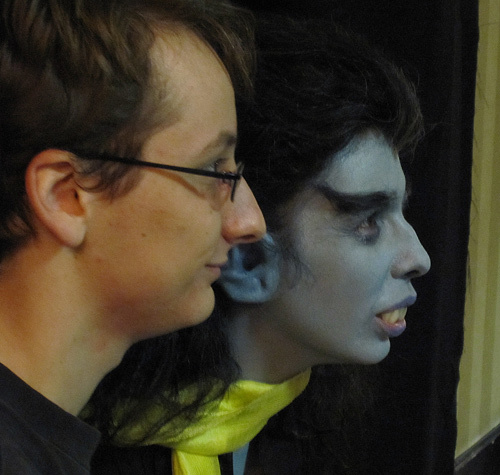 Attendee Paul Speidel shocked by Kevin Slickeratu (Kevin Slick as Nosferatu)! Make-up by Reel Majik. Hanging out at Professor Lampini's joint. 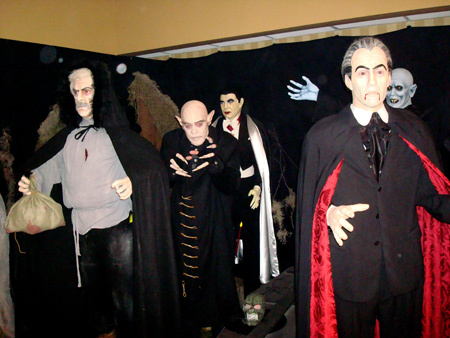 Part of The Witch's Dungeon set-up at Monster Bash. The poster child for "Don't Talk To Strangers." 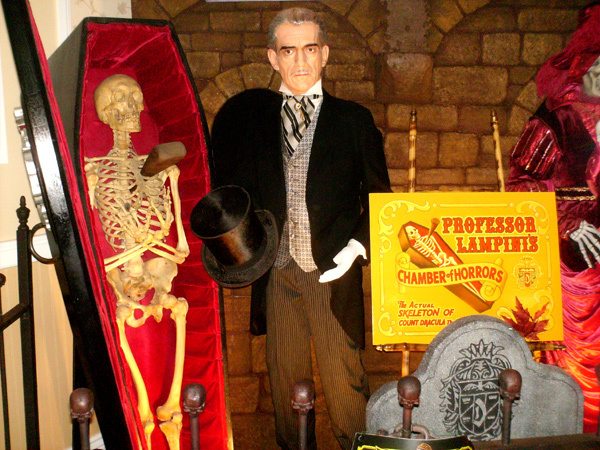 You don't know...they could be real at Monster Bash! Ladies, Gentlemen and Retro Monsters - THE BASH BOYS! 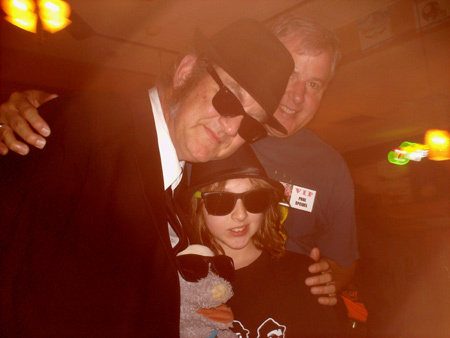 Paul Speidel discovers John Belushi and friends at Bash...he's still looking for Elvis and John Lennon. It was great fun Friday at dinner break. A Monster TV muppet at Bash. 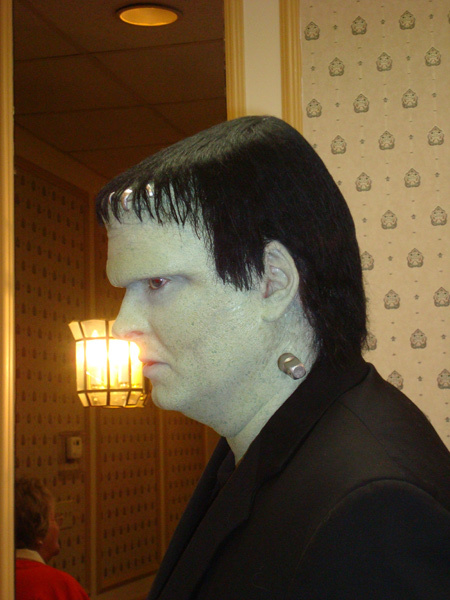 A Frankenscience monster roams the Bash. Dan Weber in make-up by Jesse Melchoir. 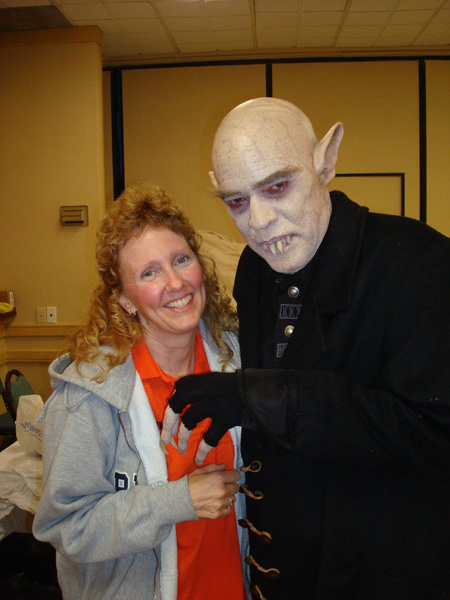 Tami and Nosferatu get chummy (Kevin Slick in make-up by Jesse Melchior). Vampires among us! Which one is not like the other? 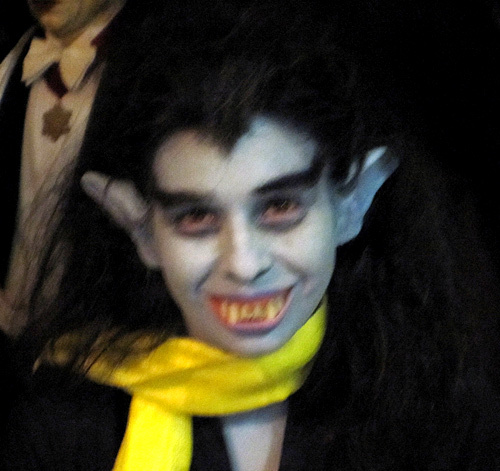 It's one creepy vampire in motion....the center Nosferatu will haunt you tonight. The Hammer Girls are over Christopher Lee...but, now they have to deal with Kevin Slick as Nosferatu! Pictured Caroline Munro, Yvonne Monlaur and Veronica Carlson. 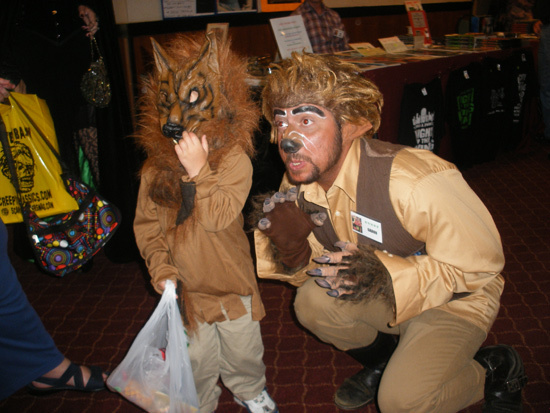 The moon was out last summer for Monster Kid Korbin Wieland and Garoo (from Penny Dreadful's Shilling Shocker TV show) at Monster Bash!